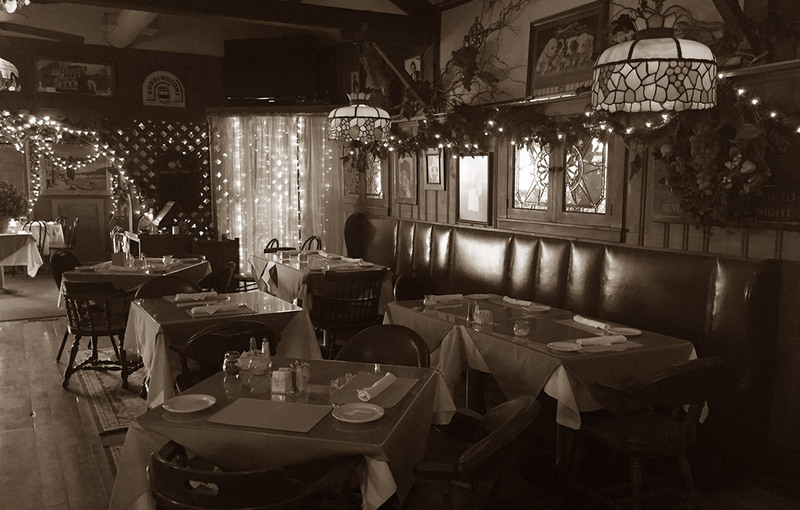 Enter through the 100+ year old historic bar room with wood plank floors, featuring a long 14 stool bar (All original from the old "Beer Garden" of Carsonia Park) and 6 comfortable tables with a long wall banquette bench. 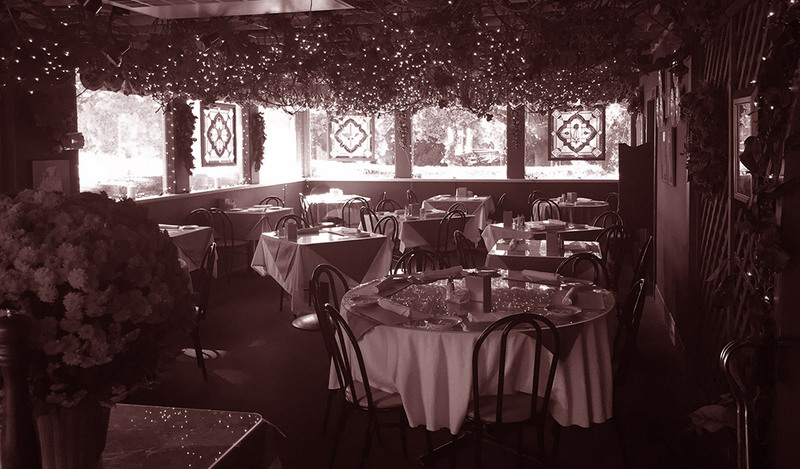 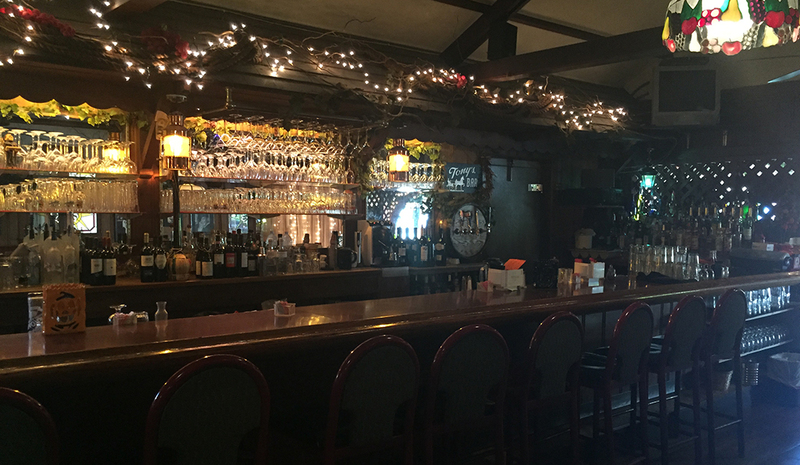 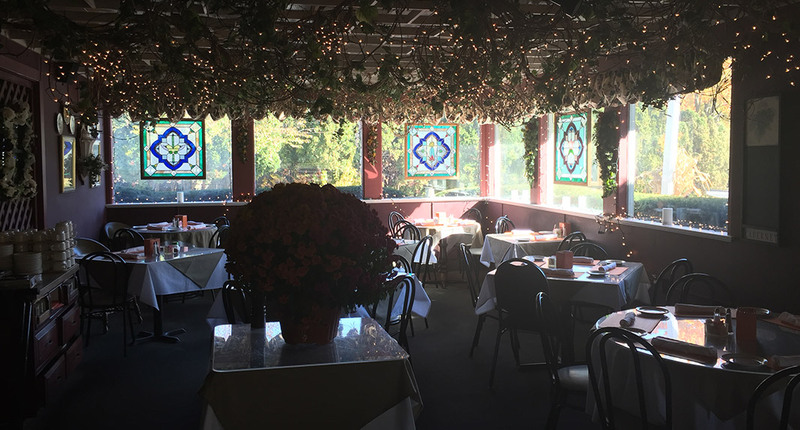 The front dining room, or as some patrons call it, the "Garden Room", has a lighted grapevine ceiling, and 270 degree bay windows with a panoramic view of Carsonia Lake & Park. 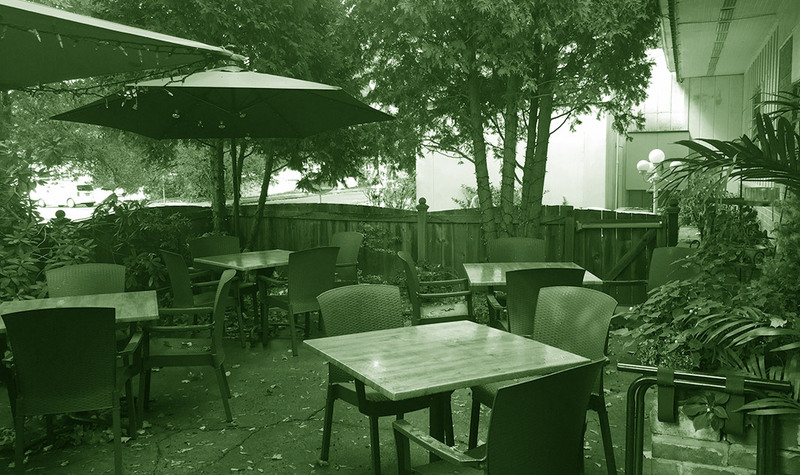 Seating capacity is 75. 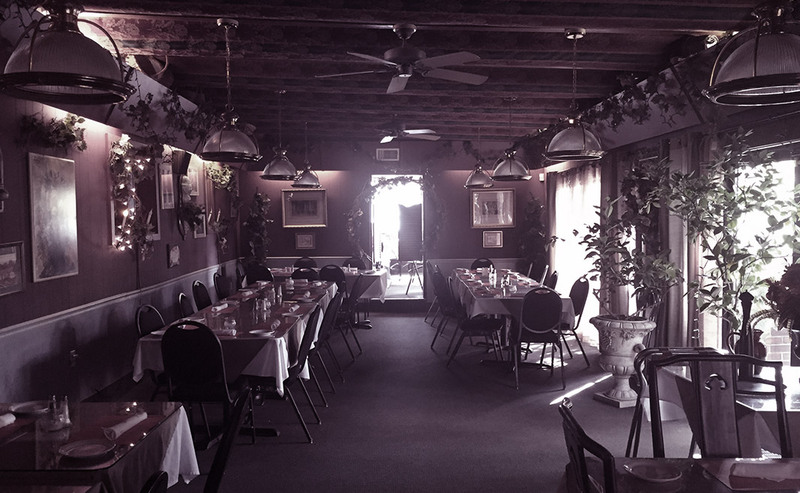 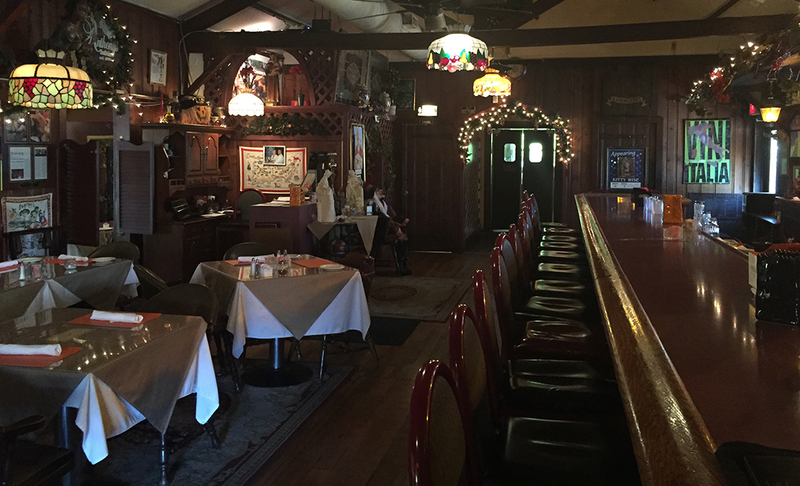 Our side dining room is capable of holding 50 people and is also used for private parties and banquets. 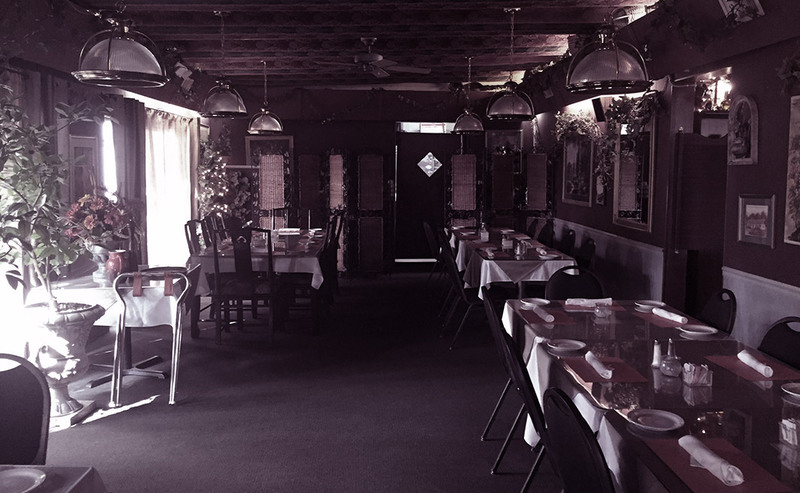 It is a quiet and private room with a draped cloth ceiling and ceiling to wall curtains that open up to the patio. 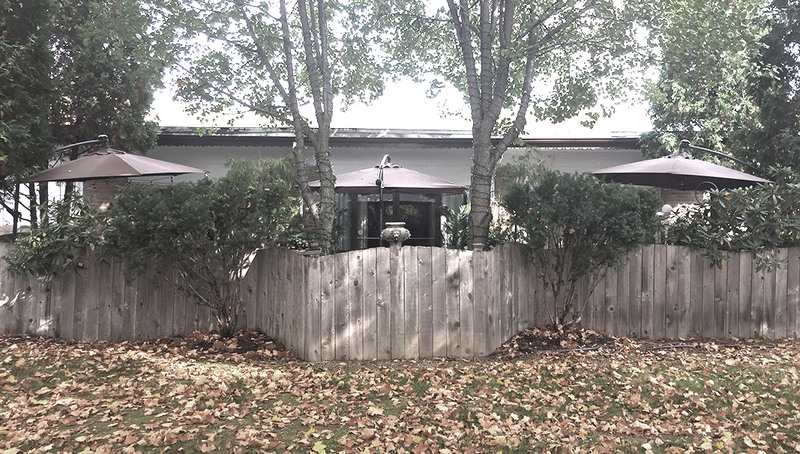 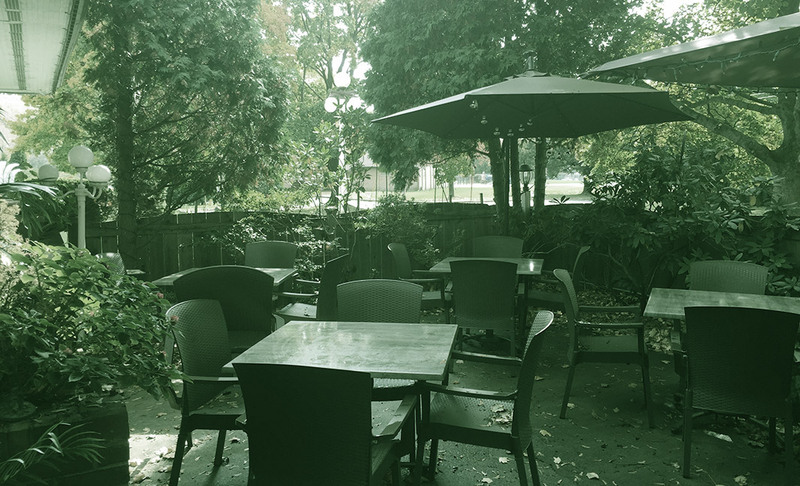 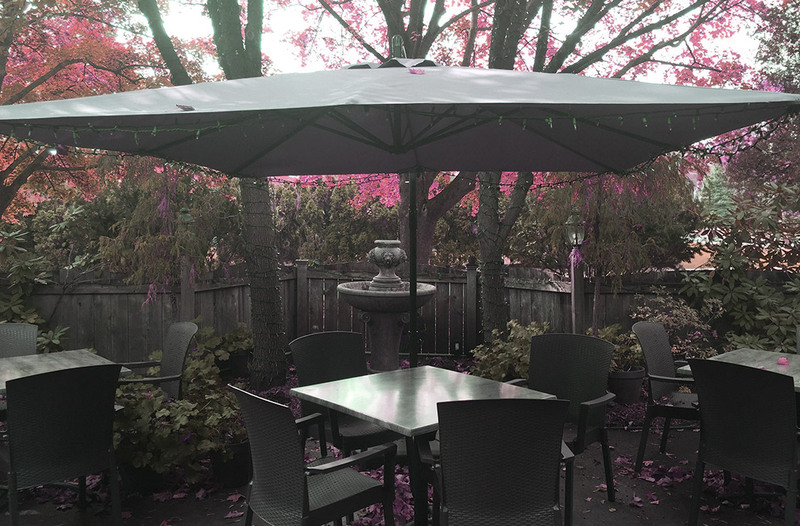 The patio is newly landscaped and furnished, letting you enjoy cozy and private "alfresco" dining, with lighted trees, beautiful foliage, and a centrally located water fountain. 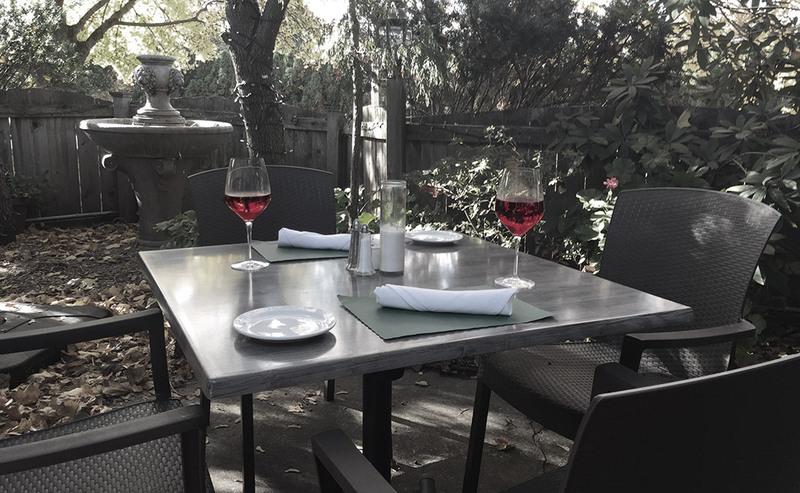 Outdoor seating is for 40.